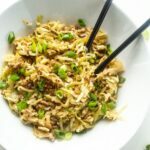 Keto egg roll in a bowl has been an all-time favorite dish of mine since embarking on a ketogenic lifestyle. 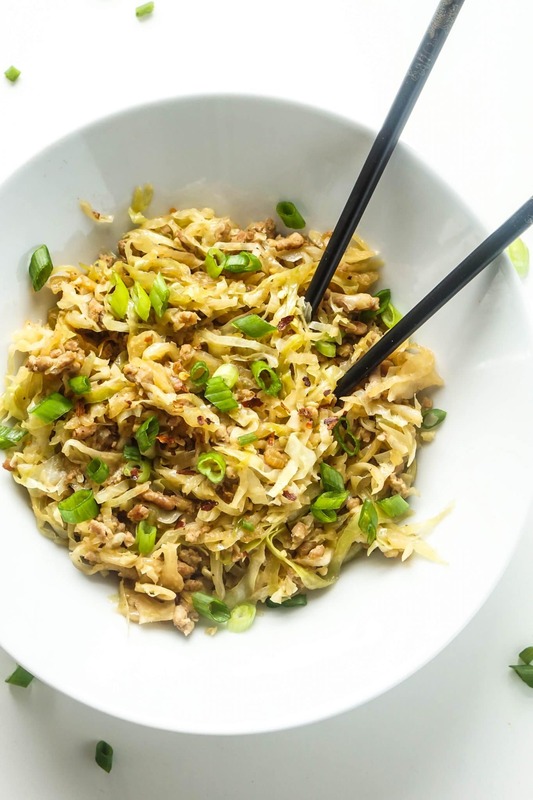 It’s crazy popular in the low carb, paleo, and whole 30 circles for several reasons: it’s quick, it’s easy, and it captures the delightful essence of an egg roll without all the garbage added. In fact, it’s so beloved in the low carb community, many people refer to it as “crack slaw”. That alone should tell you how addicting this meal is! Don’t forget to PIN it for later! ? If you’re wondering what the flavor of the dish is like, it’s as if the tasty filling was scooped out of an egg roll and delivered in a bowl while the greasy wrapper is tossed aside. 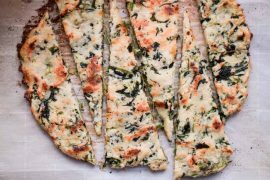 Instead of deconstructing an egg roll and working backward to pick out the part that is low carb friendly (I’m looking at you pizza-topping-picker-offer), pick up a few things from the grocery store. It will be worth it, don’t worry. 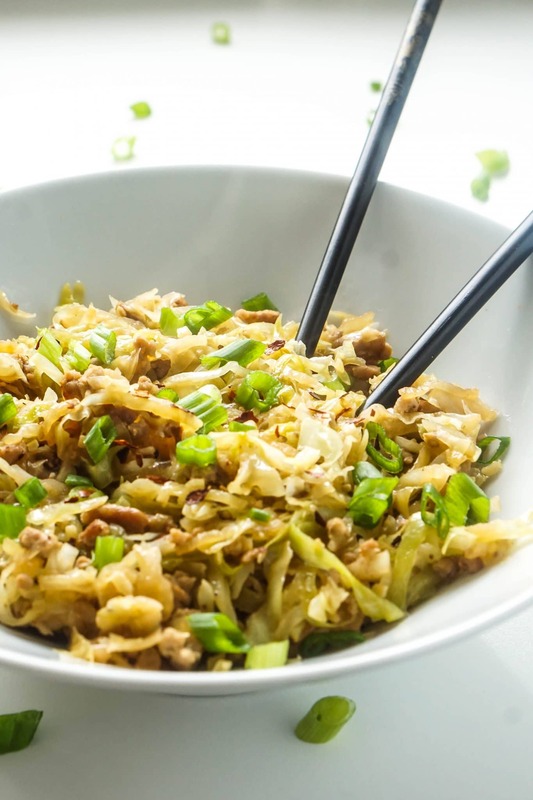 You’ll need a head of cabbage (yes, you can have cabbage on a keto diet), half an onion, a clove of garlic, coconut aminos (you can also use liquid aminos or soy sauce), ground ginger, chicken broth, a couple green onion stalks, and a pound of ground pork. If you’d like to shoot for an authentic Asian flavor profile, you could also score some sesame oil while you’re out and about. I’ve made it without sesame oil plenty of times, and it’s still a hit, so feel free to use whatever you have on hand and trust that it will always be delicious. 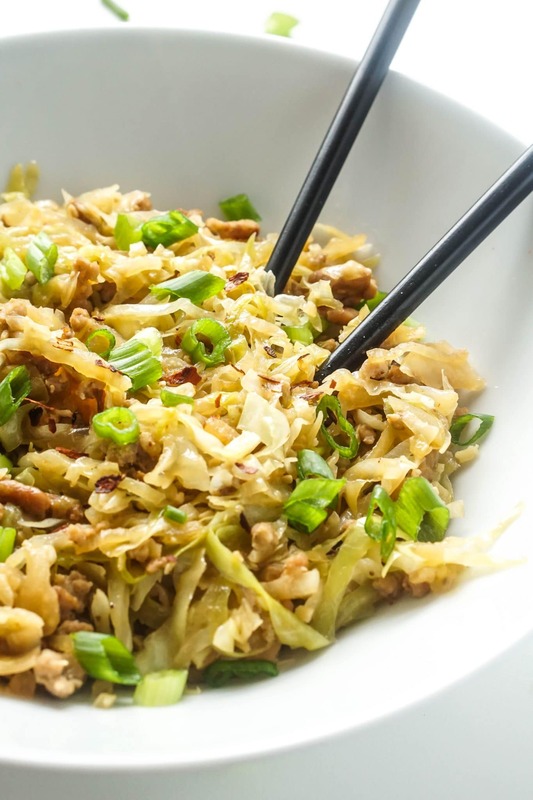 Brown your ground pork in a large pan or wok and cut your low carb cabbage and onion into long strands while the meat is cooking. You can use a knife, but the easiest way I have found to cut an entire head of cabbage and onions into threads is using a spiralizer. I am a huge fan of The Inspiralizer and couldn’t recommend it more; that thing is an animal! Noodley head of keto cabbage in seconds flat! Not a single tear shed cutting an onion! I’m so hooked and it’s perfect for making “crack slaw”. To finish off your keto egg roll in a bowl, add a bit of oil to the pan with your pork and throw the onions in. Mix minced garlic and ground ginger into the soy sauce or liquid aminos, then add to the pan once the onions have caramelized. Add the cabbage to the mix and begin tossing the ingredients together. Drizzle the chicken broth over the cabbage leaves and frequently stir for a few minutes. Garnish with green onion and voila! A keto egg roll in a bowl! 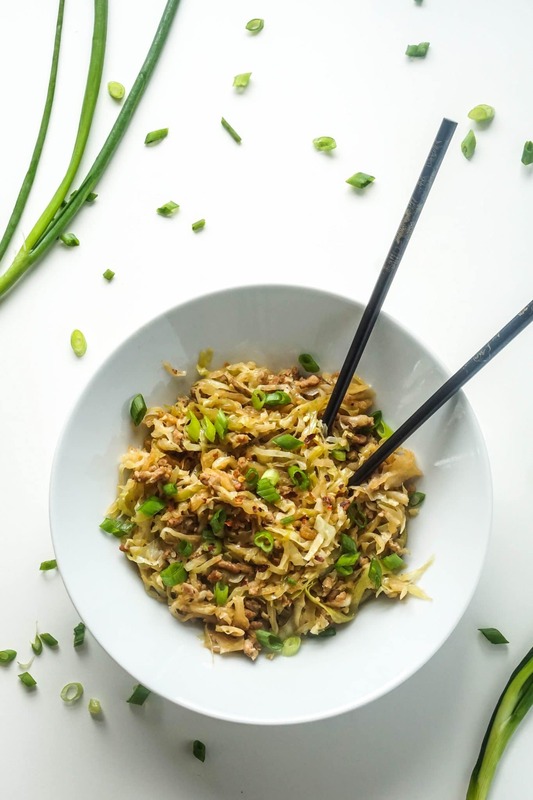 This egg roll in a bowl tastes just like the real thing without the oily wrapper! Brown ground pork in a large pan or wok over medium heat. Ensure cabbage and onion is thinly sliced into long strands. Use a spiralizer to cut the vegetables for quickest results. Add sesame oil and onion to pan with browned ground pork. Mix together and continue cooking over medium heat. Mix soy sauce, garlic, and ground ginger together in a small bowl. Once onions have browned, add the sauce mixture to the pan. Immediately add the cabbage mixture to the pan and toss to coat the vegetable and evenly distribute ingredients. Add chicken broth to the pan and mix. Continue cooking over medium heat for three minutes, stirring frequently. Garnish with salt, pepper, and green onion. This post contains affiliate links affiliate links. If an item is purchased through the link, I will receive a small commission used to grow this site. Thanks for your continued support! Say YES to your health! Get the latest recipes, tips, and resources delivered directly to your inbox! Hey babe! I’m Tasha, the lady behind Ketogasm. I love to get creative in the kitchen, geek out on nutritional science, and help badass ladies like you transition to a keto lifestyle. Whether you are healing with food or transforming that beautiful body of yours, I hope you find the resources on this site to be helpful along your way! It’s the most unassuming dishes that taste the best 🙂 This will definitely have to be tried out. I’ve gone off bread a long time ago… Thanks for sharing! I would also like to know how much a serving size is, even a rough estimate. It depends on how much cabbage you use. All you need to do is measure what you end up with and then divide it by 6 servings to get the serving size. My only modification is I brown the onion first because when I added it as directed it wouldn’t brown up in the pan with the pork, though I was using a flat pan instead of a preferred wok. I also added a bit of hot sauce in place of any added salt. Wooooooooowwww yummy! Definitely don’t forgo the sesame oil it is so delicious! I thought yeah right. Well……………shame on me. This is fabulous. Soooo good. Definitely use the sesame oil. Thank you so much Tasha! We have made this every week since trying it! Hubby loves it too! I made as written, except no chicken broth. I didn’t have any. This is AMAZING!!! It’s so filling. Thank you! Which spirializer blade did you use? I used blade B, the one for “fettuccine” noodles. I think any of them would work though! I really want to read your post but the social media tool bar on the left side is covering too much. Thanks for letting me know. I’m going to remove my sidebar, I think that will help. Is this really keto friendly with those sugars? Just wondering since I’m just starting. Yes, totally keto friendly. 4 grams of net carbs per serving is very doable on the keto diet. Hey Tasha! It says 10 g per serving, why did you put 4 g of net carbs? Am i supposed to calculate something? I switched over to a new recipe plugin and nutrition label format and it only lets me pick one option for the number of servings. Before, I had multiple options (like 6-8 servings) and broke the nutrition info into smaller serving sizes and the larger serving sizes. The 4 net carbs comment was in reference to the smaller serving size listed in my previous table. Since I only have one option now, I went with the most conservative choice. You’re right though! 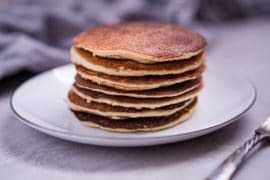 Total carbs are 10 g and net carbs are 6g (10 g total carbs – 4g fiber). My new label reflects a 6g net carb count. Hope that helps! Sorry for the confusion. I make this recipe at least once a week. Love, love, love it. (What’s with the ‘read previous post’ with included comment pop-up from the right side of the screen? It’s annoying and I can’t get rid of it. I have to scroll the information I want to read above and past it). What if i subbed chicken breast? Is ground ginger a powdered product? I have fresh, but not ground…looks amazing! I used a powdered product, but fresh ginger is AWESOME! You can sub it out no problem! If you keep your ginger root in the freezer it grates into a fine powder quite nicely. Maybe it’s because I didn’t use sesame oil but I gelt like it’s not very flavorful. 😐 and I was very excited about this dish. Next time I will try the sesame oil. My spouse and i have been very ecstatic Edward managed to round up his homework from your precious recommendations he was given through the web site. It’s not at all simplistic just to always be giving away steps that many the rest might have been trying to sell. We do understand we have you to give thanks to because of that. Most of the explanations you’ve made, the straightforward site menu, the friendships you will make it possible to engender – it’s got many superb, and it’s really assisting our son and our family do think this matter is entertaining, and that’s especially essential. Thanks for the whole lot! Really easy to throw together and the flavors were spot on. Be sure to use the sesame oil! You can tell the moment you add it that it’s going to be delicious by the way it smells. I don’t have a spiralizer, so I just sliced the cabbage and onion thin. Who knew how much I like cabbage? I didn’t make the full recipe. I divided the recipe and just made enough for lunch. This is my new favorite recipe. I’m trying the Shredded Chicken Chili for dinner though so it may have competition. Found you through a post on Reddit.com. Looks great! Do you think leftovers would be suitable to freeze? I froze it in freezer bags. Just thawed it out yesterday. It was even better! I’d really like to know too if this can be frozen… I live alone and I’m a small woman, I have to be careful not to end up eating more than one serving of delicious foods. Made this today, just great! Thanks so much! Instead of thinly slicing cabbage, we used store bought Cole slaw mix. Worked great!! This recipe is yummy. It hit the spot! We both liked it but we’re left scratching our heads about a full head of cabbage. We used a head of napa and it was way to much. Can’ you quantify it in cups? Just made it with half a head of cabbage – it was excellent. Highly recommend the sesame oil – wouldn’t taste as good without it! This was wonderful! Added water chestnuts and topped with sesame seeds and hot sauce. Everyone enjoyed it! I thought I was the only one who only ate the inside of an eggroll (much to the disappointment of my Asian mother)! I have a spiralizer that I use all the time (with zucchini, potatoes, etc. ), but I have never used it with cabbage. And honestly, I am having a hard time picturing the logistics of putting cabbage through a spiralizer. Can you describe the best way to do that? Soy sauce has lots of sodium. I did triple the garlic and ginger. I also added some extra soy sauce and chicken broth. I added a little over 1/4 cup of Erythritol. I cooked it for way longer longer than 3 minutes. It was good with the additions. This is our favorite keto recipe by far! You rock! I use ground chicken breast instead of sausage (makes a huge difference on calories), and add a bit of rice wine vinegar. We use this to make lettuce wraps. I make a double recipe so we have plenty of leftovers! We can’t get enough of this! Sesame oil = essential! i would like something sweet on top, any suggestions. I feel like I am missing the sweet and sour sauce. Otherwise it is very good. I made a keto Thai sweet chile sauce (because that’s what we always dip eggrolls in) and drizzled that on top. Yummy! I used fiber syrup (I have FiberYum), a squirt of sriracha, and some rice vinegar. We thought it perfectly complemented the dish! P.S. I had never thought about using my spiralizer for onions…totally for the win!!! Thank you for the idea! Can you possibly say approx. how large your cabbage was? I know it cools down, but I feel like mine must have been huge! I weighed it out (after slicing) to about 750g and even using a fairly large/deep skillet, I couldn’t fit it all. I could’ve added more after letting the first bit cook down but didn’t want to muck around with some of it being unseasoned and whatnot. Edit* COOKS down 😉 Not cools! Made this tonight. Spot on! Added carrots and some red pepper flakes! Yum! A keeper. Very tasty recipe, thank you for sharing. I topped the egg roll bowl with several over easy butter fried eggs. Great combination. I made this for the first time last week exactly as is, except I didn’t use a whole head of cabbage because it seemed like too much once I cut it up (it wouldn’t have been). I really liked it and it helped my Chinese food cravings a lot! I found it too salty, though, between the soy sauce and the chicken broth…and I am a salt-aholoic. I’ve already made it a second time with reduced sodium soy sauce and it is even better. The second time I also added some chopped celery with the onions, and put them in while the meat was still browning to save some time. A bag of shredded cabbage (like for a cole slaw) made this super fast and easy to clean up. The leftovers are great! Thanks for this great recipe! I just found your recipe and made it tonight. so so good. and yeah, dont skip out on the sesame oil. Wow! This dish is stupid good! Used a mandolin to grate the cabbage, added the sesame oil and freshly grated ginger. Amazing! I use ground turkey instead of sausage and in place of the soy sauce and chicken broth I use pickle juice! So good ? I’ve added cayenne pepper a few times too when I want to kick it up a bit! Oh my goodness this was so good!! We used seasame oil, 4 cloves of garlic and fresh ginger 🙂 we will be trying more of your dishes as this one was such a success! I really should test freezing it so I can report back. Has anyone tried freezing this? THE PEOPLE NEED TO KNOW! Anyone ever try this in the crockpot? This was yummy! I added some chipotle chilli flakes too and it was delish! I was wondering if this is still good cold. I started a pretty busy job recently, and I’m looking to prepare dishes that I can just grab at work and dishes my fiance doesn’t always have to heat up to eat. Good question, Amber! I haven’t tried it cold myself, but perhaps someone else has! Anyone tried this recipe as leftovers without reheating? Learning to cook low carb and low Vitamin K has been a challenge. I subbed crisp cooked spaghetti squash for the cabbage, it works! Cook the halved seeded squash in the microwave cut side down until the strings just start to separate, mine took about 5 minutes. Scoop the squash and continue with the recipe. Yum! I like your recipe idea too; what a great suggestion, Gina. Spaghetti squash is really tasty! We just had this for dinner. I did not make any changes to the recipe. Really easy and very good. Tried this tonight but all we could taste was the soy! is 1/4 cup liquid aminos really correct? It is SO salty. I will make it again but probably only do like 2 tablespoons next time. Hey Paige! I just switched over to a new recipe plugin and nutrition label format (like 2 days ago, super recent!) and it only lets me pick one option for the number of servings. Before, I had multiple options like 6-8 servings and broke the nutrition info into smaller serving sizes. The 4 net carbs was in reference to the smaller serving size listed in my previous table. Since I only have one option now, I went with the most conservative choice. You’re right though! My new label reflects a 6g net carb count. My husband and I just started the Ketogenic diet and looking for things to make. My husband who doesn’t like cabbage loved this!! I’m going to try making it again this week but using shrimp instead. Has anyone tried this with ground beef? Does it alter the flavor? This recipe is so good. I used coleslaw mix instead of a head of cabbage and it tasted amazing. My 6 and 9 year old daughters said it was ‘the best!’. Made this tonight for dinner and both my husband and I loved it! Definitely use the sesame oil. I’m thinking of trying it with shrimp next time to make it lent friendly. Loved the flavors and can’t wait to try more of your recipe’s. Delicious! Used ground chicken and added 1 teaspoon of Penzey’s Vietnamese cinnamon. OMG. So good! Excited to make this soon! I just started keto and have a question about the sugars listed. I thought sugar isn’t allowed on keto? what exactly is the serving though once its cooked? Do you eat a cup of it, half cup, or another? want to make sure I am doing everything right. Your response is most helpful. Was wondering the same thing. My friend just weighted it out. We got 5.6 ounces per serving. Was delicious. What is the approximate serving size for this dish? Cant wait to make this for my family tonight! eggroll in a bowl? more like SOY SAUCE in a bowl!!! 1/4 cup of soy sauce was GROSS!!!!!!!!!! SO SALTY! NEVER AGAIN. I am curious about the green onions. 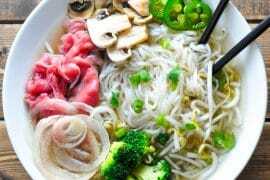 Did you use just the green part or the entire green onion? This was soooo delicious. I made extras and can’t wait to eat it again and again! I personally love garlic so I added a bit more to it. And like everyone else said. Do not skip on the sesame oil! DELISH! Really tastes like egg roll in a bowl! Even my picky purist husband loved it. Yum! I made exactly as written and it’s delicious. I just sliced the cabbage thin, no need for a special tool. Next time will double the pork though. Thanks for the recipe. Is the nutritional info for the whole recipe? Or per serving if so what is the serving size? How large is a serving size in cups? Does anyone know? Awesome breakfast, too! Heat up leftovers in a pan, whip up two eggs, and fry! This looks SO good! I keep seeing other keto people talking about it. I’m going to try it this weekend! Delicious and simple. Trying to show my 22 yr old son that it is easy to eat a well balanced and delicious and easy meal that doesn’t come from the frozen food section. He works odd hours so doesn’t like to cook much. He loved it and said even he’d cook it himself. I used a bag of coleslaw mix to make it super easy for him. This will become a regular with us. This is so wonderful! I browsed through 7 or 8 recipes before I decided on this one, and I’m glad that I did. It is absolutely delicious. I re-heated my left overs with an egg, fried rice style, and I dont think I’ll ever have it without again. 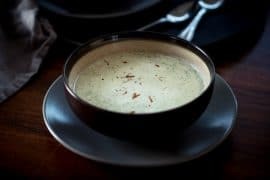 My favorite Keto recipe, hands down.Thank you for sharing! I visit ketogasm often for tips and inspiration! OMG this is the bomb! Even my teenagers loved it, and when I tell them a meal is Keto friendly, I usually get the wrinkled nose. I used ground turkey, bagged, preshredded cabbage and added water chestnuts and celery. Flavor was great and just the right amount of crunch. When I reheated my leftovers for lunch, I whisked 2 eggs and added it to the pan and it tasted like fried rice! So yummy! Thanks for sharing this. We will add it to our rotation! I skipped the sesame oil and used coconut oil instead.. still turned out great! I added more ginger and chicken broth plus cooked it longer. I also added cashews. Yum! I just made this, and it was delicious. I used coconut aminos and followed the recipe exactly except that I used 2 cloves of garlic. My head of cabbage was very large, so I had trouble fitting it all into my large electric frying pan. Next time I’ll use less. Also, I cut the strips with a knife (I don’t have the right kind of spiralizer), and some of them were a little too thick, but it worked out okay. I don’t understand why people are so confused about the serving size because it depends on how much cabbage you add. All you have to do is measure what you end up with and divide it by the 6 servings! I had about 2 quarts–8 cups, so one serving would be about 1 and 1/3 cups. Sooo yummy I used ground beef and added 4 scrambled eggs to ours. Is there any type of rough estimate on serving size? I’m thinkin 1 cup? This was so quick and yummy! I used about half regular sesame oil and half chili sesame oil. I also topped with sesame seeds. Next time, I will add some red chili flakes for a little more heat, and maybe some water chestnuts or celery for some crunch, maybe top with cashews or chopped peanuts. I think this would be very adaptable. Would also work with ground turkey or chicken. Just made this, and it’s soooo good. I’m not a cabbage fan, so I was very pleasantly surprised. So excited to eat the leftovers for lunch tomorrow! Just made this tonight and it was sooooo good! I couldn’t stop myself from eating 3 servings! But I still don’t feel too full since it’s low calorie, which is so good. Thanks! It isn’t even done cooking and the taste testing has me wanting to hide in the closet with the whole skillet and not share with my husband. Thank you for the great recipe. I just started doing Keto with my wife. This is the second recipe we’ve tried, and I have to say this was amazing. Pretty easy to make too. I made this last night. Everyone loved it, there was no leftovers. Trying to go keto the biggest struggle is finding meals that I can make that everyone will love. This was hands down a winner. I used ground chicken and the coleslaw mix made it super easy. My daughter requested next time that I make double. Any suggestions on something to use in place of Soy sauce trying to keep sodium down. I made this last night. Was a winner, nothing was left. I used ground chicken and the coleslaw mix which made this a super easy and quick meal. My daughter requested next time I make double. Any suggestions on something to use besides soy sauce? Trying to keep sodium down. I have made this recipe three times! 1st with pork as written, 2nd with grd chic and added sweet Chile sauce with garlic and roasted peanuts on top/love it! 3rd time with pork again, chili sauce, nuts… I will continue to make! I am surprised that with a whole head of cabbage it shrinks down so much! I make in large wok! Do you drain the liquid fat from the ground pork after cooking and before adding the other ingredients? You can do either! I personally like to drain the fat, dropping the calories a bit lower. For people looking for higher fat/calories, keeping the fat in the dish can help. Delicious both ways! Freezing cooked cabbage can get mushy, I would freeze it aldente. This is a great recipe! 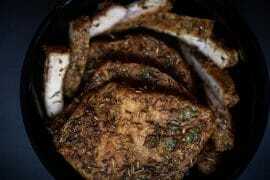 I make my meat ahead of time, freeze it in portions for me and my hubby, then cook it up the day I serve it. This recipe and a favorite go to because it so easy. I use all kinds of meat, to include deer, wild hog, and the likes. Thank you! I made this a few days ago. I followed it exactly as your recipe stated and IT WAS DELICIOUS! It was so flavorful and authentic tasting! This recipe is so good! 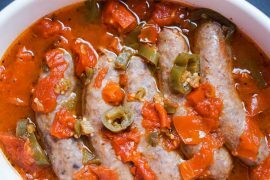 I use turkey sausage and add crushed red pepper for some heat! There were no leftovers but I bet it would be even better the next day! Thank you for sharing! So good, you don’t have to be on keto to make or love this. Another great thing about it is that the recipe is so adaptable–you can use the pork or chicken or turke, probably even beef, or even no meat at all; i used5 cloves of garlic and would use more next time; i also used a whole onion sliced up and can see using more. I used low sodium soy sauce, only 2 TBs, it was fine for my mostly salt-free cooking style, also I did not season after cooking, as suggested you do. I will keep making it, varying the ingredients. I like the idea of adding water chestnuts, snow peapods, celery, etc. Fantastic. Easy and delicious. I have tried other forms of this dish, but this one is the easiest and tastiest. I hope it freezes well! The brand new book, Keto: A Woman's Guide, is now available for pre-order! 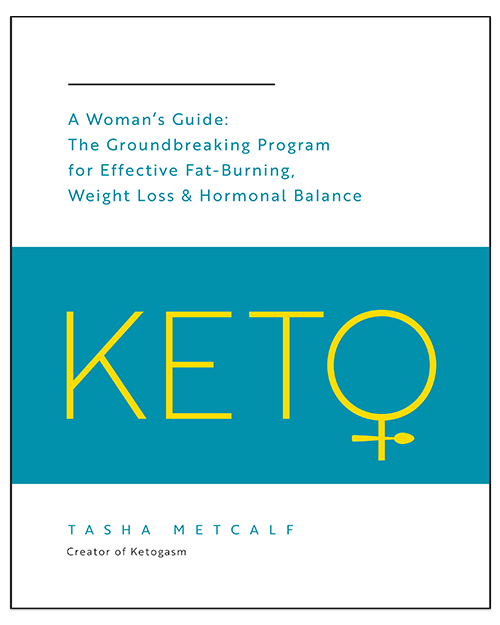 The first and only book written specifically for female keto dieters and their unique physiology! Learn how to personalize the keto diet to optimize fat-burning, weight loss, and hormonal balance. This guide will walk you through each phase of the diet, from getting into ketosis to fat-adaptation, strategies to create hormonal harmony, and provide a detailed program to help you take action and see results. KetoGasm is a website devoted to helping women customize a ketogenic lifestyle.